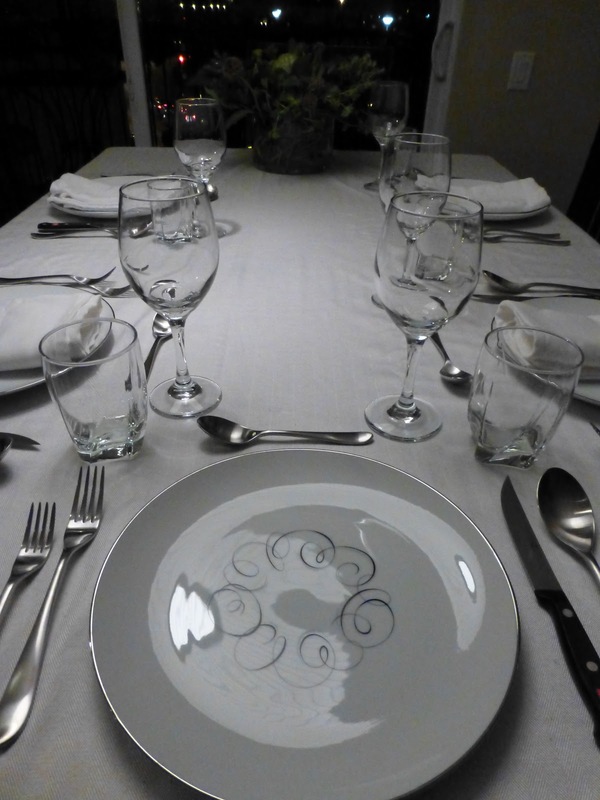 I hosted Supper Club Saturday night. 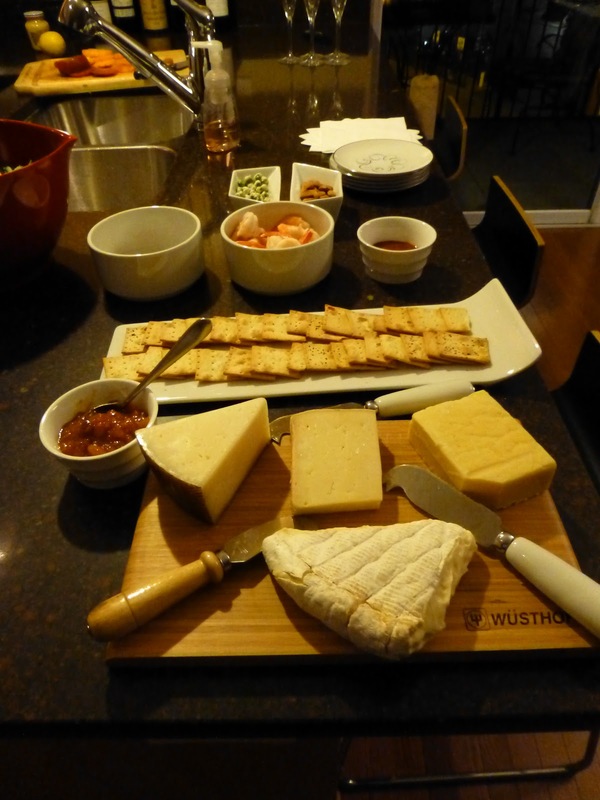 Like last year (read about that here and here), I hosted a French Dinner, but with fewer courses. 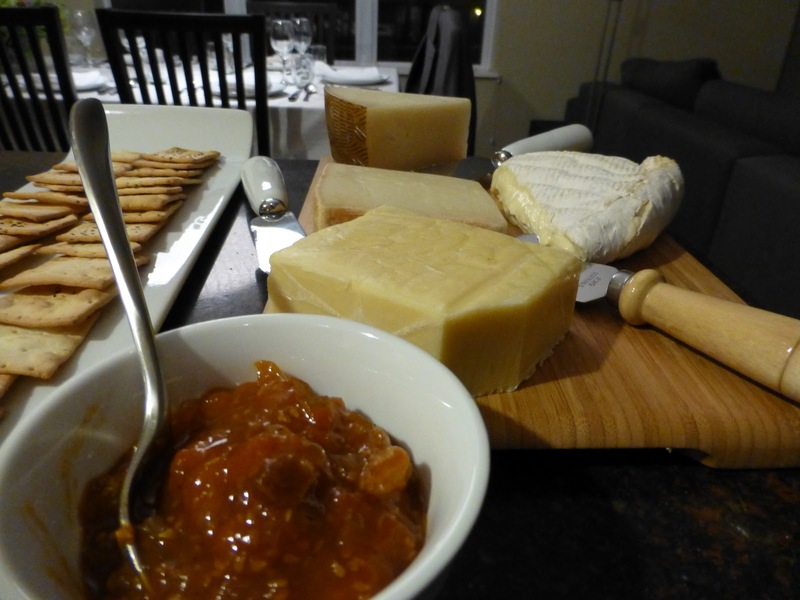 As always, I started with cheese and champagne and my homemade tomato chutney. The second course was mussels, which we served at the bar in the kitchen. 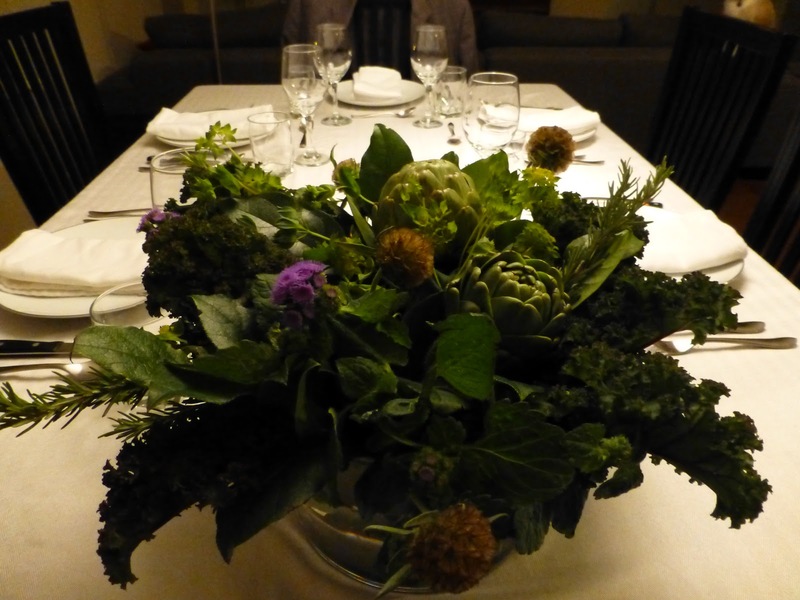 We moved to the table, which I decorated with a simple pre-made bouquet from Whole Foods with edibles. When I saw this arrangement I immediately thought of a French country table. 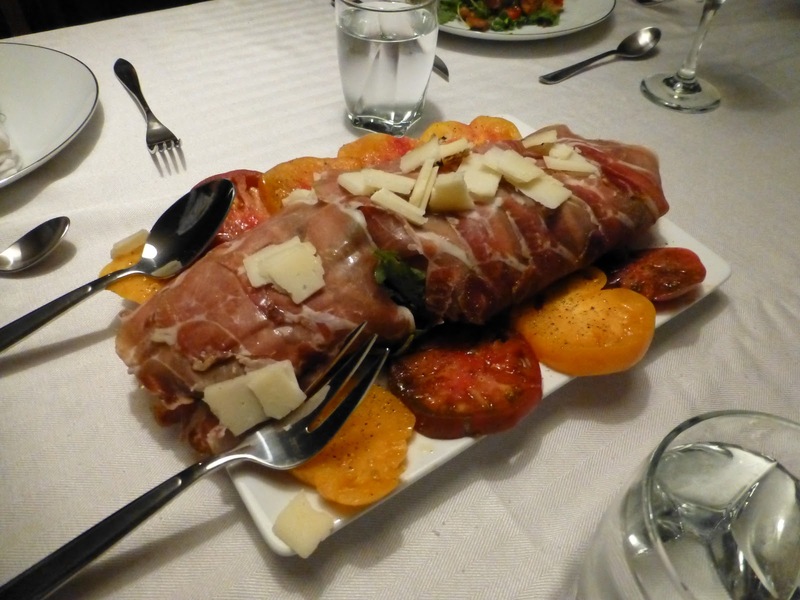 Last week we had a great salad at a Spanish restaurant where the salad was wrapped in Serrano Ham. 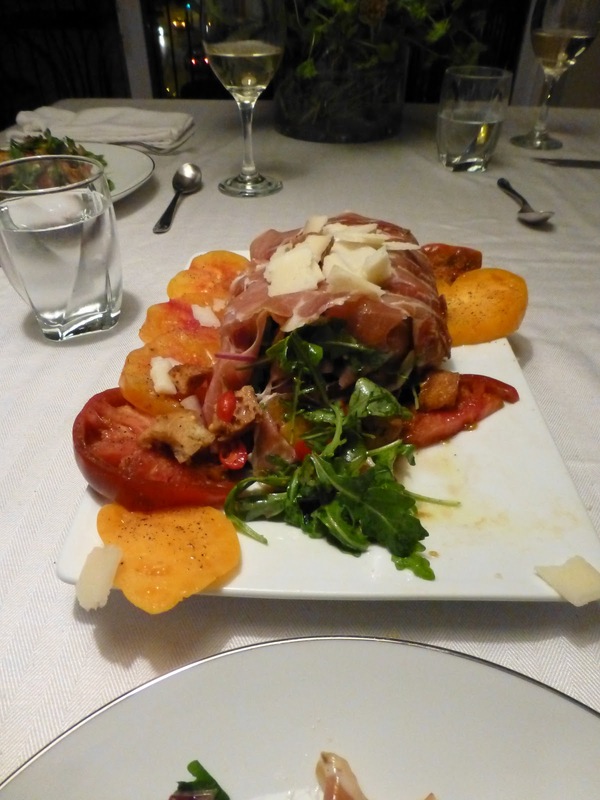 It actually look a meatloaf — which isn’t necessary how you’d expect a salad to be described, is it? 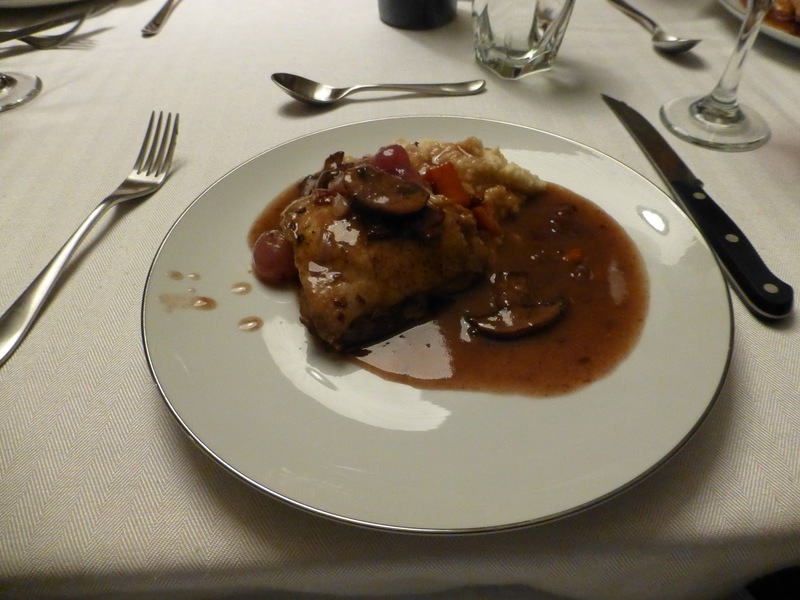 The main course was a lovely coq au vin served with a celery root puree, which is prepared just like a mashed potato. 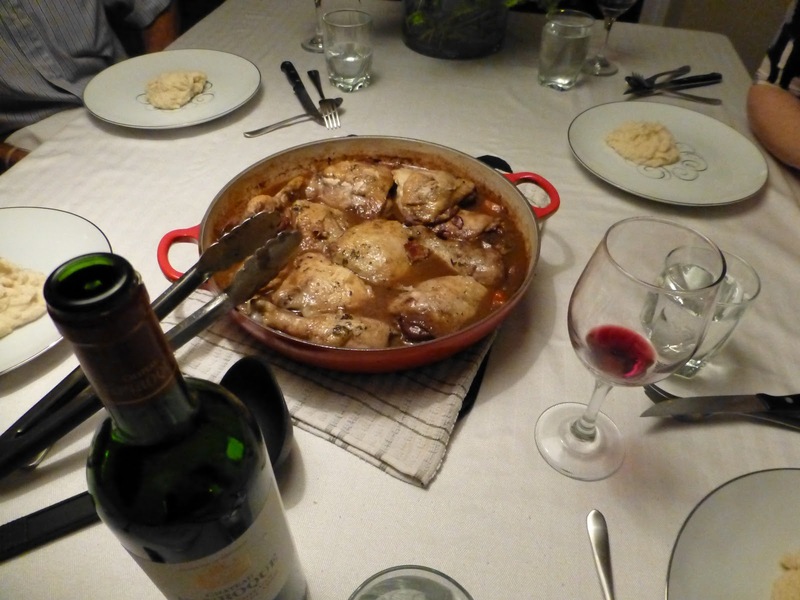 The celery root is much sweeter than a potato but the sweetness cuts the richness of the coq au vin. I didn’t try anything wild for dessert – I just went with a tried and true recipe for Dark Chocolate Pot de Creme. It was fantastic as always. The worst part of Supper Club is the clean up. 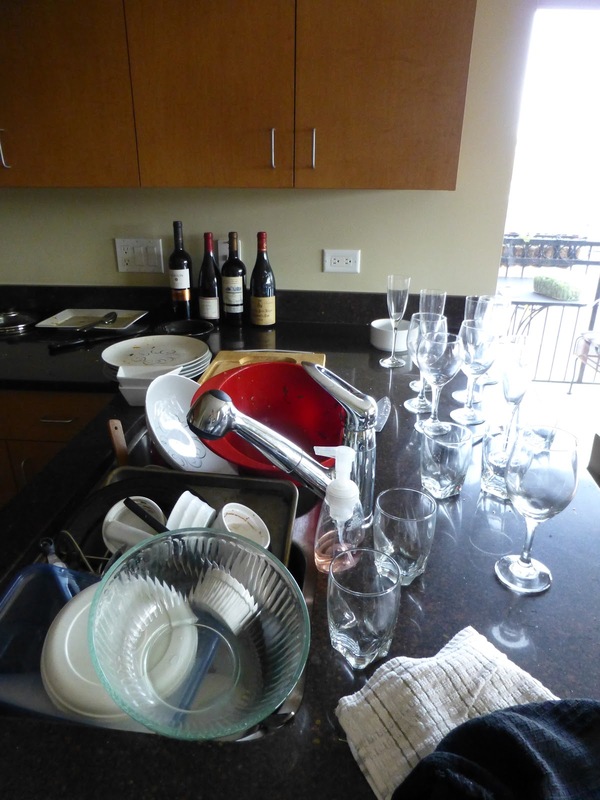 So many dishes, glasses, pots and pans. 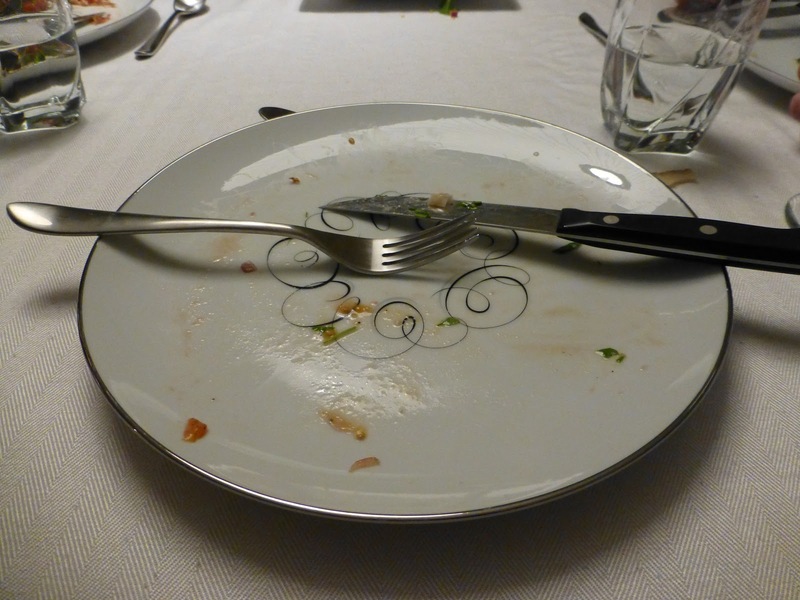 I had to run the dishwasher four times and hand wash a large number of dinner plates. 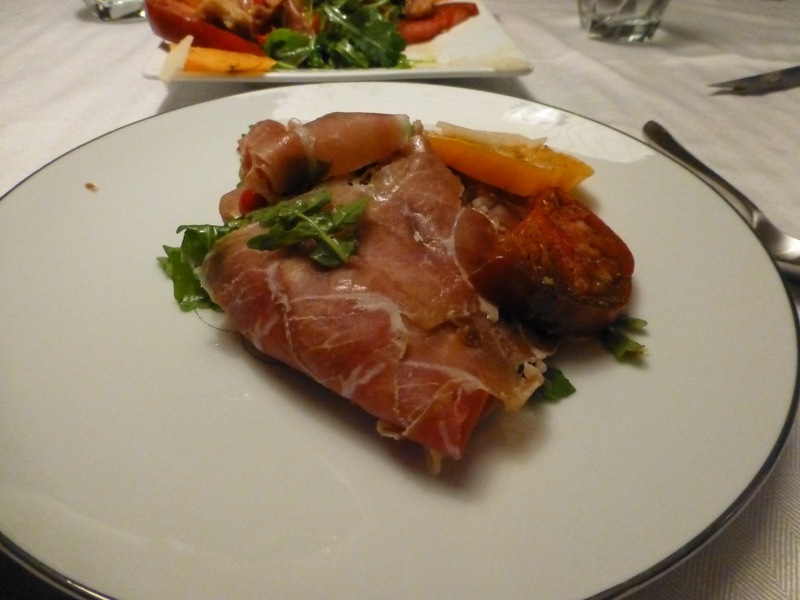 What did you cook this weekend? How many people did you entertain? How many bottles of wine did you go through Saturday night (5 people went through 8 bottles of wine). 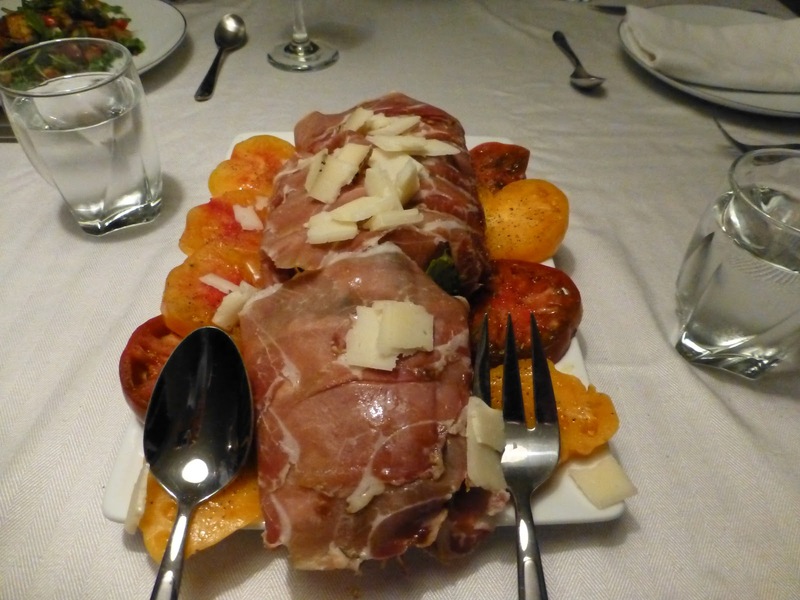 By Tim in Food on November 5, 2012 .